With so many people sitting in front of a computer all day long, sitting while travelling and watching television, learning how to sit properly to avoid muscular imbalances is really important. Generally, maintaining the normal spinal curves is considered to be beneficial during sitting. There is a tendency, especially for those sitting at computers, to assume a forward head posture along with an increase in the curve of the thoracic spine. Forward head posture may increase the incidence of neck and shoulder trigger points and pain along with alterations in shoulder muscle activity. Poor posture while driving can produce a repetitive load to the tissues that causes sustained stress. Next time you are on the motorway, notice how many people drive with only one hand on top of the steering wheel. 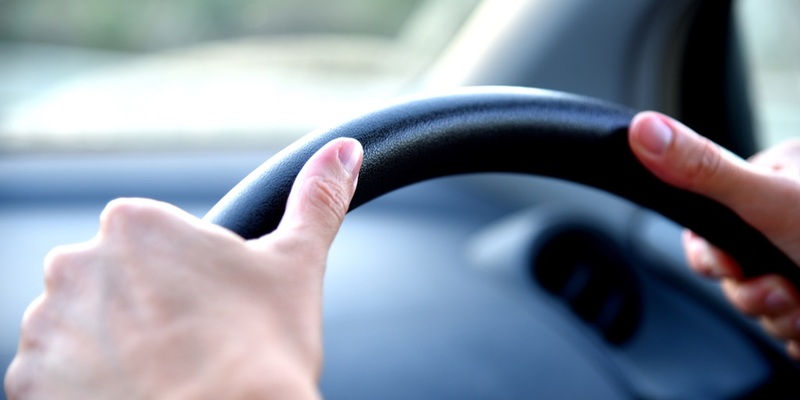 Holding the steering wheel at ‘quarter to three’ gives the joints a better chance of remaining in a neutral position. In the car, lightly rest the head against the headrest while maintaining a level chin. Holding this good posture, reach your arms for the steering wheel at a ‘quarter to three’.